Robust has put together some of the information we have gathered in regards the difficult and dangerous problem of mould. You can use this advice to clear up your apartment, your house or your rental property. Queries on how do I tackle damp patches and mould patches is a very common question. Other good Mould products we recommend. Some other options and products for Mould and Mildew: Mould and Mildew cleaner from the Krud Kuttter range. Paint choice of Zinsser Perma White, this is a waterbased paint that will prevent any mould re-appearing. Use these two products you should remove the Mould and Mildew and hopefully stop them appearing again. Mould Paint is best applied as as top coat. 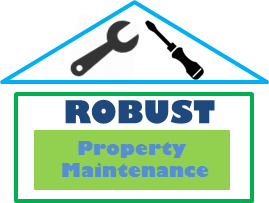 The most important step is to get the work done by a knowledgeable professional so don’t delay and contact Robust today for a full breakdown. Please remember we won’t be purchasing the cheap options here but the expensive treatment options and paints to ensure the job only is done once and not a patch job. This is a draft post and we will be updating some of this information. Ventilation is the most critical aspect to analyse and address. Robust next post will be on ventilation in your property.